LIBERTY ADULT EDUCATION | "Together We Make It Happen"
LIBERTY ADULT EDUCATION "Together We Make It Happen"
The vision of Liberty Adult Education is to create a foundation for adult learners to develop the knowledge and 21st Century skills necessary to successfully transition into higher education and careers. In addition, our vision is to provide learning opportunities that enrich families and strengthen our community. The mission of Liberty Adult Education Center is to be a catalyst in our community for all adult learners, by equipping them with the necessary 21st Century skills to compete and succeed in our global society. We achieve this through our comprehensive academic and enrichment programs, engaging curriculum, and dynamic instruction that inspires lifelong learning. This fosters our students’ abilities to succeed in reaching their personal, educational, and career goals. 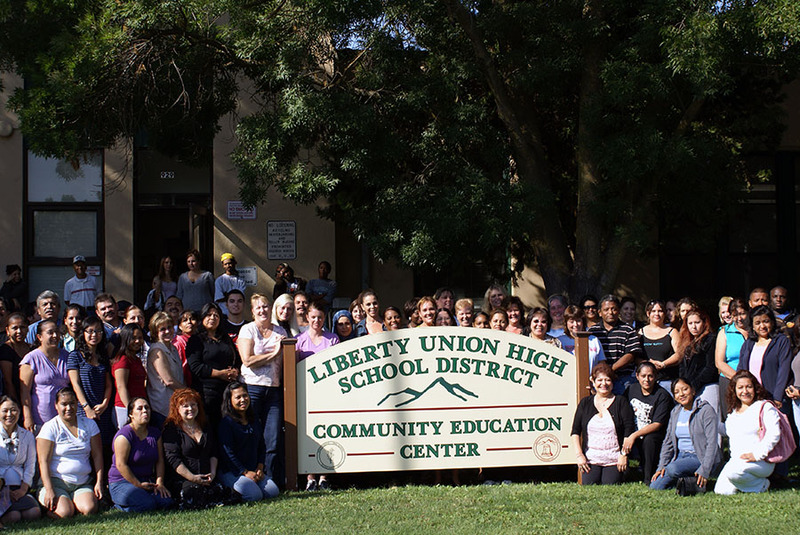 As per Board resolution 2017-07, (en Español) the Liberty Adult Education is committed to making sure all students are accessing a quality education in safe and welcoming schools.